Need more information about booking Home 8494811 ? 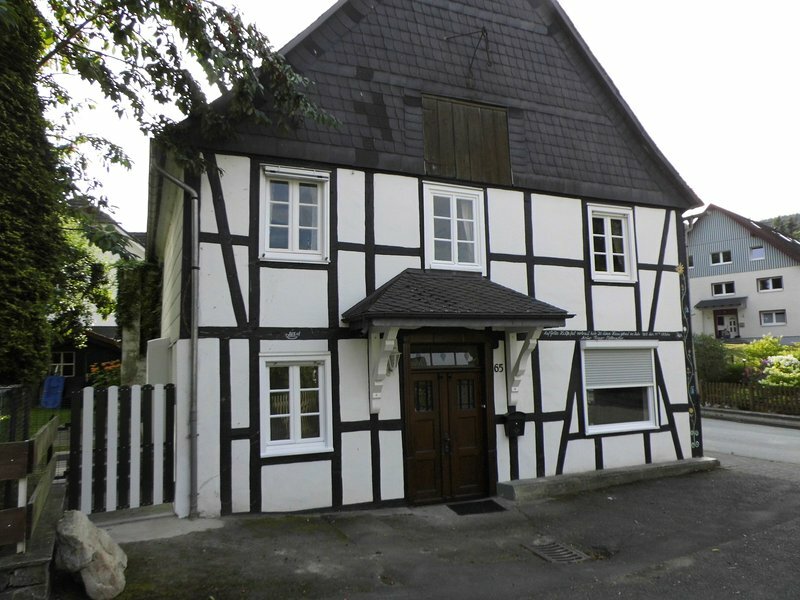 Am Bach a cozy holiday home is in the middle of Hochsauerland. The house is ideal for a meeting with the (large) family or with a group of friends. On the ground floor a spacious kitchen with a super long table for a minimum of 14 people and a living room with couch and TV and a play area and / or bedroom. Furthermore, the ground floor of: a large storage room for strollers, skis, etc, a pantry and a laundry room. On the first floor 5 large bedrooms and 2 modern bathrooms. And not to forget: a beautiful garden with garden furniture and plenty of parking.